Spring festival of Passover is bringing with it a streak of hot weather, set to build up as the week progresses. 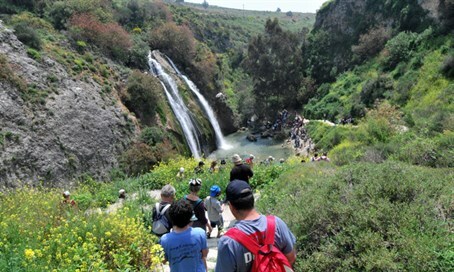 With the Passover holiday on Saturday, known as the spring festival, Israel appears to have fully entered spring weather as a heat wave is set to make a visit on Tuesday. Sunday is expected to be partially cloudy, with high cloud cover. Coming off of a sunny and hot weekend, the temperatures are to rise slightly further, and be higher than the seasonal averages. High cloud cover is forecasted for Monday as well, and the weather will continue to be hotter and drier than the norms for this time of the year. Then on Tuesday the temperatures are to rise even further, with heat wave conditions anticipated for most regions of Israel. Haze is liable to settle in on certain areas, and the skies are to be partially cloudy. The heat wave is to be temporary, however, as on Wednesday the temperatures are to fall slightly even as the cloud cover remains.